Wednesday night, February 10th, was Dominic Taglialatella's first lecture of the year, and it was a wonderful success! 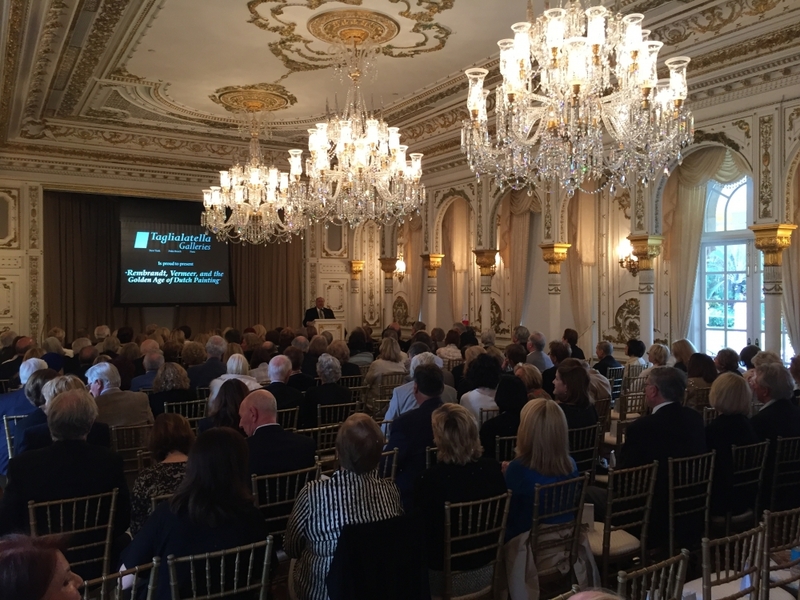 "Rembrandt, Vermeer, and the Golden Age of Dutch Painting" took place at the famous Mar-a-Lago Club in Palm Beach, and there were almost two hundred people in attendance- the ballroom was standing room only. The largest lecture yet, Dom's discussion of the traditions of Dutch Painting, and it's famed artists, was phenomenally well-receieved. Taglialatella Galleries is certainly looking forward to what comes next! The next lecture, on March 23rd, is titled Picasso, Just the Facts. In his inimitable style, Dom Taglialatella will present a straight forward overview of the life and significance of the most important artist of the first half of the 20th century-- this chronological examination will explain each stage of Picasso’s life and artistic development. You won't want to miss it! Seating is extremely limited already, so please contact the Palm Beach gallery if you're interested in attending. All are welcome, but space is filling fast! Call 1-561-833-4700 to make reservations now.